It would cost a fraction of the price of California-based technology giant Apple’s hugely popular iPad, which retails from $499. 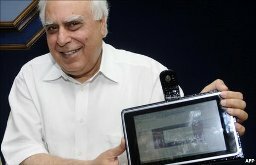 Mr Sibal said the Indian tablet, said to run the Linux operating system, was expected to be introduced to higher education institutions next year. The plan was to drop the price eventually to $20 and ultimately to $10, he added. Unveiling the gadget, the human resource development minister told the Economic Times newspaper it was India’s answer to the “$100 laptops” developed by the Massachusetts Institute of Technology in the US. “The solutions for tomorrow will emerge from India,” Mr Sibal said, reports news agency AFP. Last year, one of the ministry’s officials announced it was about to unveil a $10 laptop, triggering worldwide media interest. But there was disappointment after the “Sakshat” turned out to be a prototype of a handheld device, with an unspecified price tag, that never materialised. To develop its latest gadget, the ministry said it had turned to the elite Indian Institute of Technology, and the Indian Institute of Science, after a lacklustre response from the private sector. Mamta Varma, a ministry spokeswoman, said the device was feasible because of falling hardware costs. 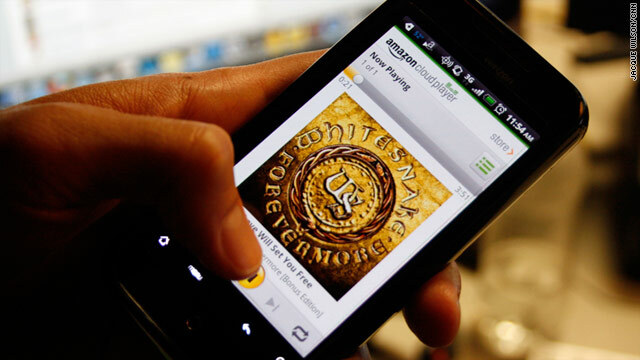 Several global manufacturers, including at least one from Taiwan, had expressed interest in making the device, she said, although no deals had been agreed, and she declined to name any of the companies. The project is part of a government initiative which also aims to extend broadband to all of India’s 25,000 colleges and 500 universities. In 2005, the Massachusetts Institute of Technology (MIT) unveiled the prototype of a $100 laptop for children in the developing world, although it ended up costing about double that price.